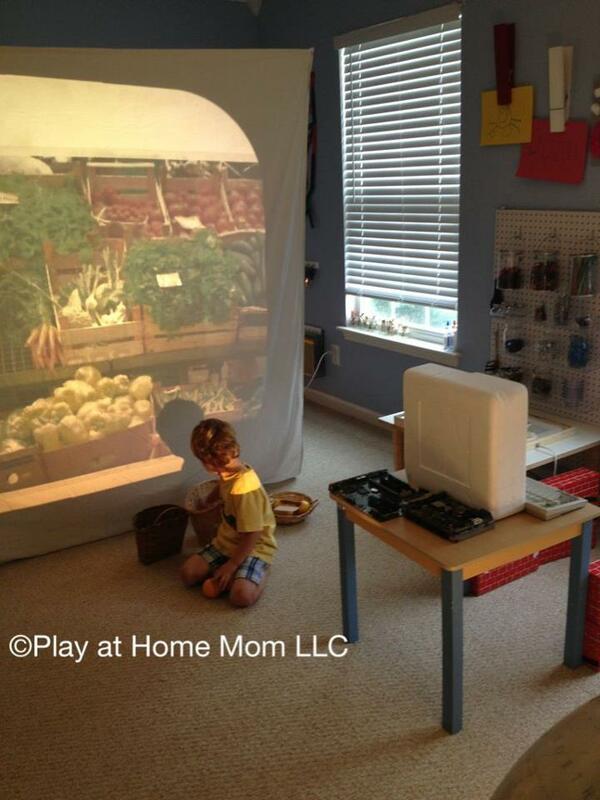 We like to engage and challenge our children and their learning by recreating real-life situations in our imaginary play. This is a fantastic way to introduce money and money concepts . 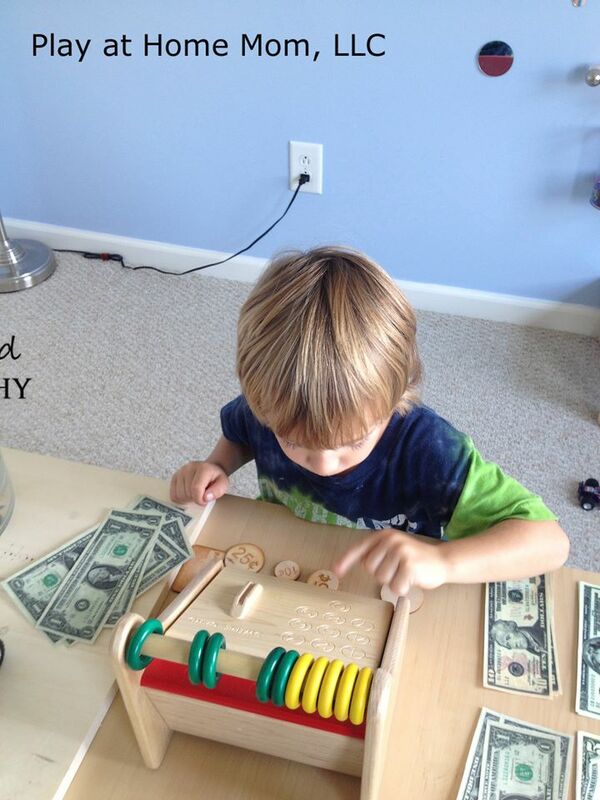 Children will grasp the concept of money when they are developmentally ready – so don’t stress. In the meantime, however, we can nourish this natural learning curve. We use real money in our play. This is a great way to introduce the concepts of money. Our children also get an allowance……. My son gets $5 a week, no strings attached. We don’t believe in rewards or bribes in our home (its a personal choice) – hence no “chores” or other things he “has to do” to earn his allowance. We approach everything with a heart of working together. I help him clean up when he asks….he helps me clean up when I ask…..and sometimes he cleans up or vacuums or takes his dishes to the sink without me asking….and sometimes I do it for him. He gets $5 a week now because he is 5 ($1 per year – thank you, Amy, for this concept). 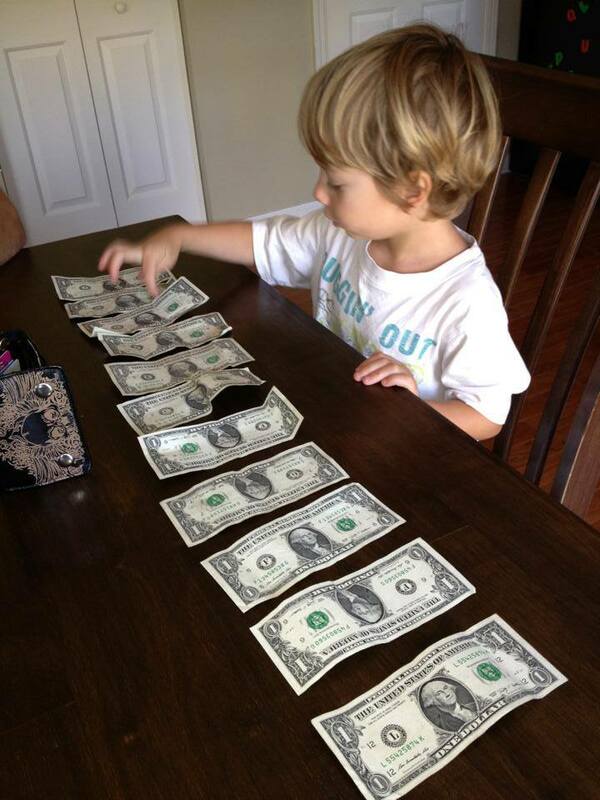 His allowance is, again, a way to introduce the concept and value of money. If there is a toy he wants (or nail polish or whatever), he saves up for it. If it’s a toy that he might never be able to save for, I suggest putting it on his wish list for his birthday or something. When he uses his allowance, we encourage (not force) him pay for his item. We guide him through counting out how much he needs to hand over, and he hands it to the person at the register. Sometimes from a crouching position while reaching his hand up just far enough for them to take his money, but he does it. We also have translucent coins that we played with on the light panel once……boring. 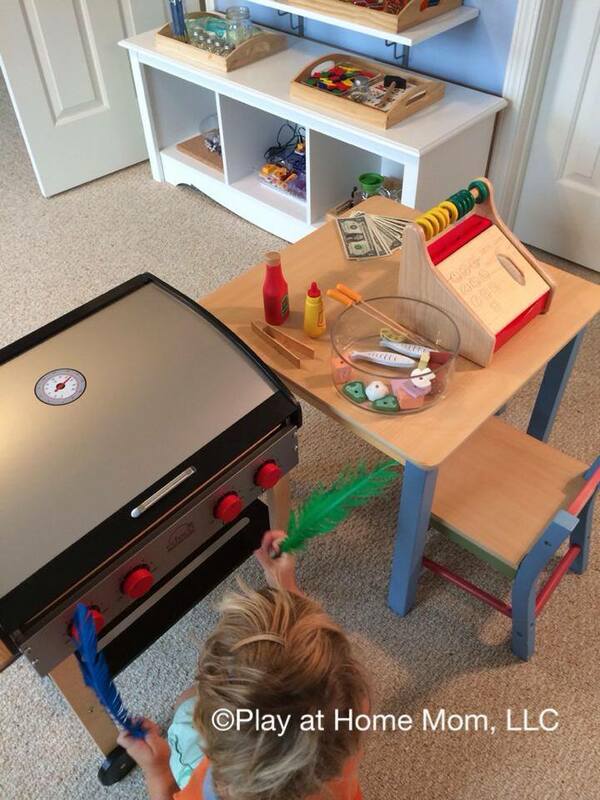 LOL There is no better way to teach concepts about money than through the use of real money in imaginary play and real life experiences.